Sunday the 18th November 2018 saw one of the last races of the year, Sospan Road Runners MT10 at Pembrey Country Park. 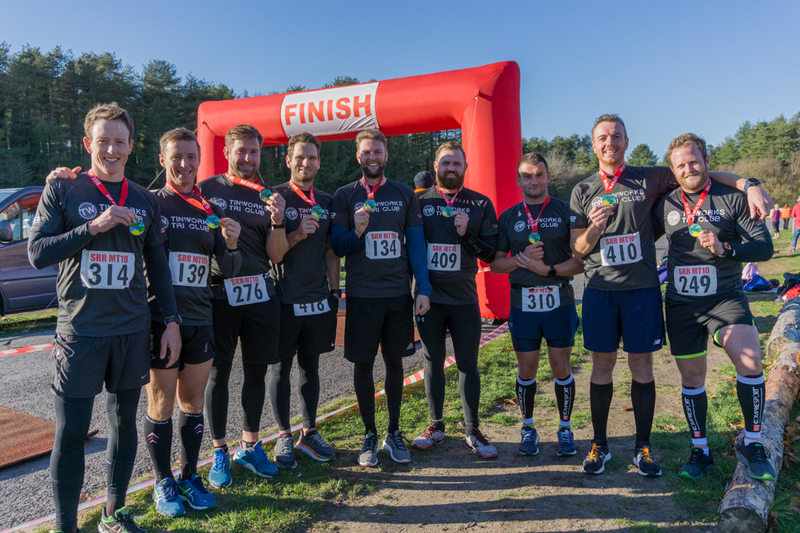 The MT10 is a single lap 10 mile multi-terrain race through the beautiful scenery of Pembrey Country Park in Carmarthenshire. The course is a true multi-terrain and includes tarmac, gravel, grass, forestry tracks and a lovely section along Cefn Sidan beach. Tinworks Tri were well represented and it was the first time that our new kit was on show to the world. We hope you like it;) The conditions were perfect for all 500 runners that were competing at the MT10. Is is truly a special event. Our boys did us proud with 3 of them finishing in the top 50. First man home for Tinworks Tri was Richard Landon in a time of 1:11:11 followed by Chris Pike and Gareth Lee who only finished a couple of minutes after. Another shoutout has to go to Chris Evans who was running his first ever event and managed to come home in a great time of 1:31:33. Thanks also to Sospan Road Runners for putting on such a great event and thank you to all the marshals who were looking after us during the race. Plus a big thank you to all the supporters who came out in force especially the Tinwives and Tinkids!!! Well done lads, we’re all proud of you. Now onto the next race!!! For a full rundown of the race results, please click here. For a look at some of the photos taken on the day, please click here.